Do you like to hunt for resources? Do you want something with a different look and feel to the contemporary modpack? Want to get away from the usual set of mods? For the intended single player experience, chose World Type "Dooglamoo"
Note MonoPack7 is still available on the old Solder platform. 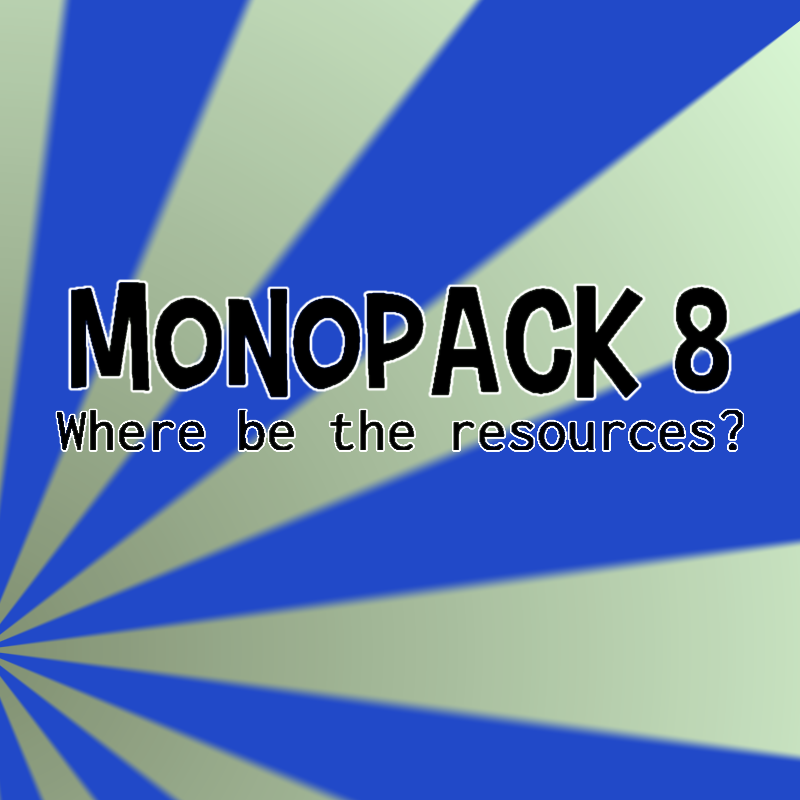 MonoPacks previous to 7 are no longer online, if there's any interest I might recreate the old packs on Curse. All future MonoPacks will be hosted here on Curse. This pack is designed with exploration in mind. Wherever you are on the world, you'll only be able to find some of the things you need. Strip mining will get you nowhere! This means you need to go out on expeditions, find caves, find mine sites, find plants, find animals and bring them back to base. This is not a kitchen sink pack; but it does have a carefully selected set of machines and tech. Just maybe not the ones you are used to. There is progression and discovery - but it's not guided. There are some later game items and helpful things like gliders, cars and trucks. And there's something weird about the sheep... There's a lot of interesting tech, but it will be out of your reach for a while. The world is not as you know it. The vanilla terrain engine has been chucked out the window. You have a vast open world to explore, with natural looking terrain, which changes from region to region. You won't find many caves from the surface, you will need to dig down to find caverns and abandoned mines. Dooglamoo provides our canvas - a very different world in which resources are far apart. Thanks to Quark by Vazkii, several mods by McJty, and Actually Addons by Ellpeck we have a great selection of interesting in world mechanics and machines. Added to that are a handful of carefully selected mods filling the gaps and providing some fun bonus content. And did we mention the sheep? A work in progress, but nearing completion. Only a few configs to tweak and some documentation to write. During play you might make use of Backpacks by Brad, carry items and mobs around using Carry On by Tschipp, make some blocks pretty with Tterrag's port of Chisel, store stuff in a Colossal Chest by Kroeser, automatically swap gear with McJty's Gear Swapper machine, make some useful storage and crafting tools with McJty's Immersive Craft or Elpeck's Actually Additions. Much of the vanilla gameplay is subject to Vazkii's Quark. Which also offers a lot of mechanics and automation from early to late game. While you're chiseling blocks, have you ever considered the benefits of chiseled sheep? It's Shear Madness by Atomic Blom. Getting Around - it's a big world! Sick of walking everywhere? Check out the gliders, cars and trucks available. If you can find Resonating Ore and Crystals you're on your way to real power!